In October 2014 family construction company Robert Woodhead Ltd was awarded £187,000 from the UK Commission for Employment and Skills (UKCES) to deliver its ‘Good to Gold’ training programme to small businesses in its supply chain. This formed part of UKCES’ £1m investment in seven pilot projects across the country, all aimed at developing innovative ways of boosting leadership and management skills in UK businesses. Woodhead was the only small to medium sized business awarded the funding, and has been determined to share its expertise and access to training facilities with other local firms. The construction-industry specific Business Leadership and Management Support programme has been taken up by nearly 100 of Woodhead’s supply chain, including businesses from one-man-bands to subcontractors of a much greater size. Workshops have focused on effective management and leadership practices, business planning, culture and values, so far with fantastic feedback from a range of companies. Paul Gedney of mechanical and electrical contractors, RJ Wilson, said: “We really are the perfect fit for the Good to Gold programme. At this point in our business we are continuing to grow, after seeing our staffing numbers practically double in the past five years. 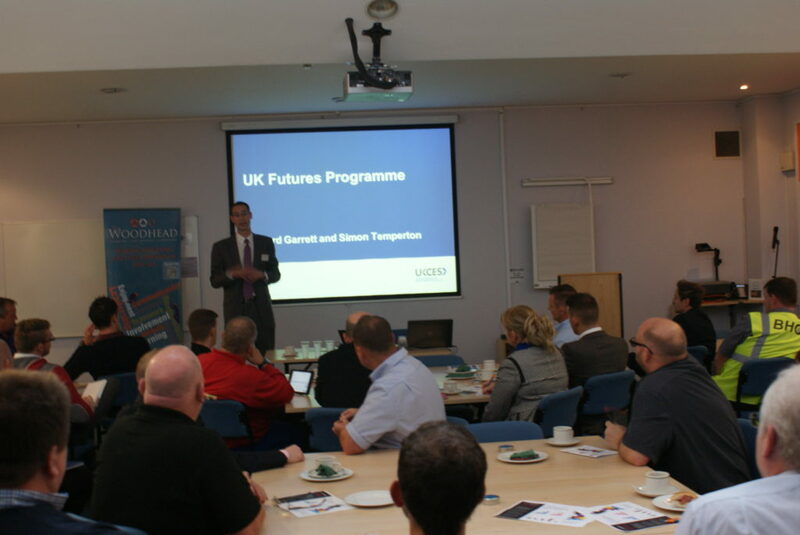 The programme has been delivered over a nine month period, with the company hosting 24 workshops at its head office in Edwinstowe, Nottinghamshire.